The co-founder Philipp Albrecht also has to visit the dentist from time to time. After a painful root canal treatment in 2013 he asked his dentist if there wasn´t something to distract people from the pain. She told him that there are solutions such as a screen in the ceiling. However, it is hard to focus on the screen, the installation is complicated and often it is not clear how to deal with the licensing of the content. The virtual reality glasses have already existed before but only as a hardware. Doctors did not use them because there was no holistic package. HappyMed combines everything and delivers a system to hospitals and medical practices which they just have to unpack and immediately can use. Lukas tells us: “Doctors don´t have time to intensively take care of the system. The device has to be as easy and intuitive as possible. If not, it won´t survive in this environment.” The system has very high requirements regarding safety, hygiene and content. To address those requirements, the founders of HappyMed had to test their product in a real surrounding. As a result, they found out that it can be cleaned with the strongest disinfectant. The content is provided by partners such as ORF or Red Bull and is licensed for this field of application. The system comes with one-time initial costs for the hardware and a monthly fee for the diverse content. How did the startup evolve? The first idea emerged in 2013. In 2014 the first prototypes were developed. In many feedback rounds the start-up evolved their product from a wooden prototype to the technical device you see above. 2015 they finalized the product and completed the first financing round. In September of last year, the young team entered the market. Since then they continuously win new customers and study partner such as the well renowned Landesklinikum Wiener Neustadt, the Confraternität Josefstadt and the Akamedie für orale Implantologie. What characterizes the work at a start-up such as HappyMed? The employees of the start-up are fascinated by their product. It is the idea and the internal motivation that drives the team of nine people. Lukas starts to talk enthusiastically about his work and tells us: “It is touching to see how far you can reach with such a product and how you can help so many different people with one single product. It is amazing to represent a product with such a high impact on our psyche.” It is part of working at HappyMed that you have to take over all kind of roles. You are not only doing Marketing or Product Development. The borders of the activities are blurred and you sometimes have to deal with topics that you have not even known that they are existing. How does the future of HappyMed look like? 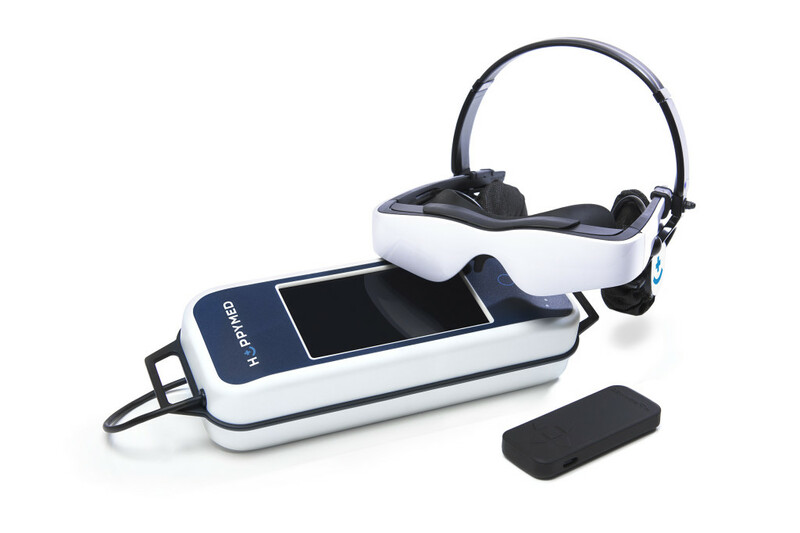 We hope that we can use the HappyMed virtual reality glasses for our next consultation and we wish the HappyMed team all the best!